Financial activity generally involves risks. Whilst we pride ourselves on our ability to minimise the possibility of the borrower not repaying through our careful selection of businesses that meet our lending criteria and our proactive approach to credit control, there will unfortunately always be occasions where a business will fail and cannot repay capital and interest as agreed. In this situation, it becomes necessary to commence our legal enforcement process to enforce the security offered by the borrower to secure the loan. 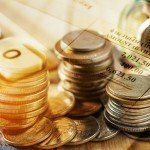 Whilst this is not an option we take lightly, we are confident that our security requirements and our close working relationship with credit control agents, debt recoveries experts and in-house and external legal agents, we are well prepared to utilise the many tools at our disposal to recover the debt. In this post, we briefly discuss a few of the types of security we take and the various powers of enforcement they each provide should the worst happen. The key advantage in holding a debenture for security is the powers it gives you to enforce the charge against all assets of that business. 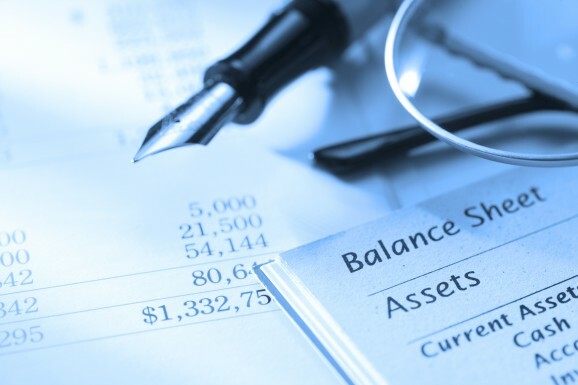 Our debenture form creates a fixed and floating charge over the assets of the company. This fixed charge applies to the assets of the business not subject to any other legal charge. A fixed charge creates conditions over how the company deals or disposes with the assets in question. A company cannot sell the asset without either paying our charge or obtaining our permission. The floating charge over all assets grants more flexibility to the chargee in what it applies to, and additional flexibility to the chargor by dispensing with some of the restrictions on use or disposal of the asset. The company is free to deal with its assets in the ordinary course of business, but we are protected when a ‘crystallising event’ takes place and the charge is crystallised. Along with any fixed assets (things like premises, machinery, tools), the debenture also creates a charge over the book debts of the company, and the floating charge applies to assets current and future. Critically, the existence of a debenture grants secured creditor status, meaning that the debt is given preferential status and must be repaid before that of unsecured creditors. The book debts (which comprise individuals or companies which owe the business money), and all other assets of the business can be recovered to pay off our loan before unsecured creditors debts are considered. Another advantage of a debenture is that it gives the holder the right to appoint an administrator to place the business in administration. This allows us a method to place our appointed insolvency practitioner in control of the company’s assets and operations, and allows the administrator to take appropriate actions to protect the assets of the company to satisfy its creditors and make a judgement on the survivability of the company in question as a going concern. Our debenture also contains a ‘negative pledge’ which prevents further charges from being registered against the business without our express permission. This acts both as a safeguard to prevent the business in question obtaining additional secured credit, and also a way to protect the priority of our creditor status and limit the number of other parties with access to the powers a debenture provides. On loans secured by way of a property charge, we have additional safeguards and powers regarding enforcement of the debt. Before the funds are transferred to the borrower, our lawyers complete the legal registration of the charge at the Land Registry. Once this is done, this means that the borrower cannot sell their property without first satisfying our charge in full. Further, the borrower cannot remortgage the property or take additional charges without either satisfying our debt or obtaining our express written permission. This allows us a degree of certainty that the equity position in the property will not have dissipated when it comes time to call in our loan. A property charge also gives us the power to petition the courts to force the debtor to sell the property in question, with the monies received from the sale used to satisfy the charges on the property. Whilst this is a powerful tool, it is worth remembering that not only are there several barriers to forcing a sale, but even when successful, it is often a time-consuming and expensive legal process. Further, factors like dependents in the property, children under the age of 18, a partner or ex-partner with a share of the equity are taken into consideration by the court and can complicate or delay the sale. Along with the time and legal cost involved, frequently the sale price achieved under a forced sale is less than a sale in optimal market conditions. For these reasons, wherever possible it is normally beneficial to use a forced sale only as a last resort when other options have been exhausted. Frequently, the threat of a forced sale is enough to bring a debtor to the table to either settle the debt in full or establish a repayment plan. Critically, as discussed in our previous blog post in this series, Personal Guarantees create a personal obligation for the debt. This allows us to go after the guarantor even if the original business has been wound up and ceased trading. This gives us two main avenues to reclaim funds against the individual- bankruptcy and court judgements. Instead of seeking bankruptcy, we also have the option to seek a court judgement for the money owed. By applying to the County Court, we can ask for them to issue a CCJ against the individual to set out how the debt should be repaid. A CCJ is a court order mandating the repayment of the debt and setting out whether it is to be paid all at once or through regular monthly repayments. The court sets the repayments based on the defendant’s income. The CCJ is entered on the Register of Judgements, Orders and Fines and remains for six years. If the CCJ is unpaid, we have the authority to return to the court to enforce their judgement. Using this method, we can send bailiffs to collect payment. The bailiff will ask the debtor for payment within seven days and, if it isn’t paid in this time, will visit the debtor’s home or business to seize goods to pay the debt. The advantage of a CCJ is that it allows you some additional freedom in enforcing the debt. If the debtor has commenced new employment, we can apply to the court for an attachment of earnings order to deduct money from the debtor’s wages and have it paid directly to us. We can also apply for a third party debt order, which allows us to petition the court for an order to seek our funds from a third party who owes money to (or holds money to the credit of) the judgement debtor. This can allow us, in certain circumstances, to apply to take money directly from the bank or building society account of the debtor. Another tool available to us to pursue an ‘unsecured’ debt is a charging order. This is a tool placing a charge to secure the debt against the debtor’s property. This can only be pursued once a court judgement has been obtained, and usually only when the repayment terms of the judgement have been broken. 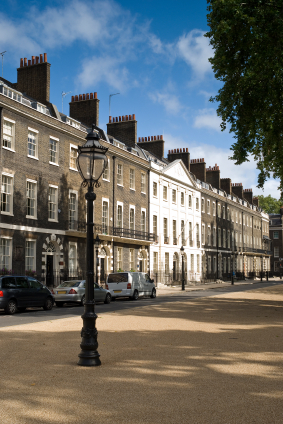 Once a charge is placed on a property, the owner cannot sell or remortgage the property without paying off the debt. The disadvantage of CCJs is that, whilst they may appear to have a number of possible enforcement options associated with them, each have their own specific advantages, disadvantages and costs. They all rely on the administering of an order by a judge, and are only available in specific circumstances. A CCJ also nowhere near as effective a ‘threat’ as bankruptcy, which holds with it the possibility of your entire estate being liquidated, and can prove a very effective way of ‘encouraging’ co-operation. There is also the ‘superseding’ effect of bankruptcy, and the dangers of wasting effort and funds on prior enforcement measures. Whilst it sounds tempting to utilise all of these various court orders and tools to enforce a debt, at the time a borrower defaults to us, they have often defaulted to one or more other lenders. If one of those lenders makes the debtor bankrupt before the CCJ is registered and the particular enforcement measure is successfully pursued, then the CCJ is essentially superseded by the bankruptcy. This means that the money and time spent obtaining the CCJ and petitioning the court to grant a particular enforcement order is wasted. Bankruptcy is usually a ‘final resort’ in situations involving a defaulted loan and in fact, to successfully petition for bankruptcy you must demonstrate that all reasonable options have first been pursued, as the court seeks to prevent bankruptcy hearings being used as a ‘normal’ credit control method. Our legal agents are experienced in satisfying the legal pre-requisites to, where necessary, seek a bankruptcy order against a non-paying guarantor. In bankruptcy, the bankrupt’s assets are assessed and their estate is vested in the bankruptcy trustee. The Trustee liquidates the bankrupt’s estate in order to pursue a realisation for creditors. Thus, once a bankruptcy order has been made, it falls to the Trustee to oversee the bankruptcy and work in accordance with the law to secure any creditor realisation. 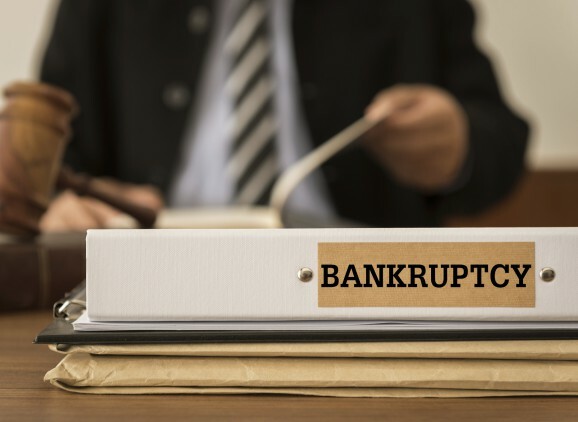 Where the bankrupt has attempted to dispose of assets quickly at any point in the five years before the bankruptcy below their proper value (or indeed as a gift) the Trustee can apply to the court for an order voiding any transaction made at an undervalue. This offers a degree of protection and recourse to us from the risk of a debtor disposing of assets before being made bankrupt. A further method to do this is by way of a freezing order. We can apply to the court to grant a freezing order which prevents a debtor (individual or business) from disposing of assets before liquidation proceedings. This was a brief introduction into some of the recovery options available to us and a discussion into the additional powers granted by particular security types. It is by no means final or comprehensive, and in each circumstance the tools utilised by us to recover your debt are decided upon after careful consideration of the case in hand and close discussion with skilled legal professionals with many years experience in debt recovery. Lenders should be aware that irrespective of these tools, capital is always at risk, recovery is never guaranteed and past returns are not necessarily a guide to future returns. To find out more about the risks associated with peer-to-peer lending activity, please visit our Risks page.